New York will become in July the first state to require mental health education as part of every school's curriculum. 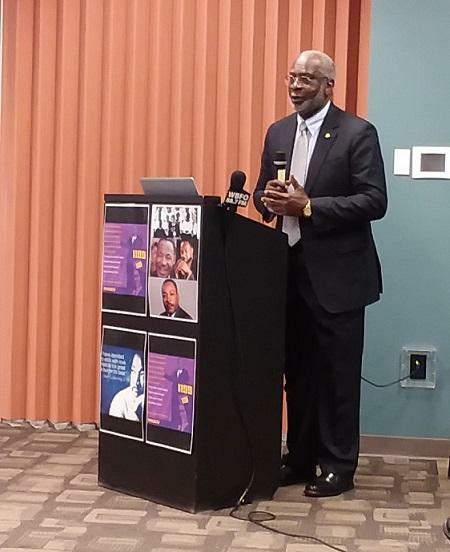 Dr. David Satcher, who served as the nation's Surgeon General under two former presidents, was in Buffalo Thursday to speak about mental health, battling the stigma many still attach to it and how mental health education may impact young people. Dr. Satcher, the founding director and senior advisor of the Satcher Health Leadership Institute, served as Surgeon General from 1998 to 2002, under Presidents Bill Clinton and George W. Bush. During his time in that position, he issued a report on mental health which included the recognition of addiction as a mental illness. Former U.S. Surgeon General Dr. David Satcher speaks in Buffalo Thursday at a forum on mental health education. He welcomes New York's forthcoming law that, as of July 1, will require mental health be included in school curricula. And yet, he noted, it took years for lawmakers to act upon his findings and recommendations. "It was 1999 when we released it. It was not until 2008 that legislation passed to support it," Satcher said. "That was the Mental Health Parity and Addiction Equity Act. (Former Congressman) Patrick Kennedy, who was a major proponent of that act is still working. In fact, we work together on research on mental health." Dr. Satcher quoted Kennedy, who publicly spoke about his struggles with bipolar disorder and drug addiction, about the problem with the American health care system. Using Kennedy's words, he explained that when you get a check-up you don't get checked from the neck up. Physical and mental health, Dr. Satcher argues, go together. New York State will make that law when, upon implementation of the Mental Health Education Act, schools will be required to cover mental health as part of their curricula. Satcher, who said about one in every five Americans are diagnosed annually with some form of mental illness, sees a great opportunity to normalize the conversation about mental health. "You've got to have a strategy for those when they come up. Some of them will be predictable but some of them will not be predictable," Satcher said. "You need to have a group of people and you need to have community engagement." Those people, he suggests, don't necessarily need to be psychiatrists. "We can prepare teams, which is what we've done in Atlanta in the emergency rooms but also in tyhe community health clinics," said Dr. Satcher. "Teams provide better care than individuals, anyway. A lot of people think if you send them to a psychiatrist, 'it means I'm crazy.' That's why they won't go." Dr. Satcher estimates fewer than half of adults get the mental health help they need. Only one third of children receive it, he adds. One of the ongoing challenges, experts say, is eliminating the stigma many attach to mental health problems. 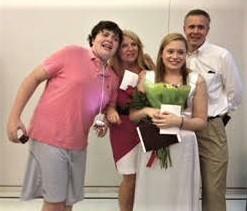 For Ryan Beale, communicating about mental health is personal. As a child his uncle, a Vietnam veteran living with post-war issues, died in an accident. Beale's brother, who was also a child at the time, spent years unable to cope with the loss of a close uncle and, in his early adult years, took his own life. Beale, who is founder and chief executive officer of Michigan-based Therapy.Live, spoke of the importance of normalizing the conversation. "Normalizing mental health, it's really how people relate to one another, how people adjust to change and really how they're able to live productive lives," he said. "That's where normalizing the conversation of mental health... it's a healthy conversation to have. That's part of getting rid of the stigma of what mental health and mental wellness looks like." His organization has developed its own curriculum, known as Prepare U, for incoming high school freshmen. "Everybody gets educated. Everybody gets the experience of talking about mental health, talking about life, what does it mean to live a meaningful life," Beale said. "To begin to have meaningful relationships with people, how to process their anger, how to challenge their thoughts and maybe their thought distortions at times. "We're humans. We all deal with those issues." Listen to Dr. David Satcher's presentation in Buffalo, Thursday, April 26, 2018. Storytelling is being used to help break through the stigma of discussing mental health troubles. As part of our Mental Health reporting initiative, WBFO's senior reporter Eileen Buckley says the Just Tell One campaign is designed to give youth and young adults a chance to start a conversation. WBFO's senior reporter Eileen Buckley says the Just Tell One campaign is designed to give youth and young adults a chance to start a conversation. Since the Parkland, Florida school shooting there has been a high demand for Mental Health First Aid training in our community. As part of our Mental Health reporting initiative, WBFO's senior reporter Eileen Buckley attended a Mental Health First Aid session at Baker Victory Services in Lackawanna. WBFO's senior reporter Eileen Buckley attended a Mental Health First Aid session at Baker Victory Services in Lackawanna.